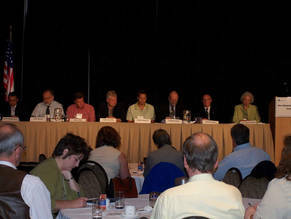 The “One Watershed – One Water” conference was held in Kelowna between October 21 and 23, 2008. 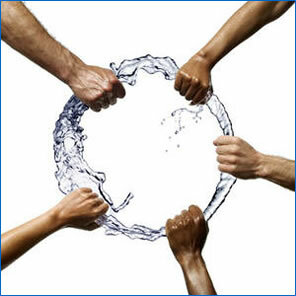 The aim of the conference was to bring together scientists, policy makers, First Nations, and the public to share new innovations in water science, identify issues and priorities, strengthen communication, and develop recommendations to improve water management and governance in the Okanagan. 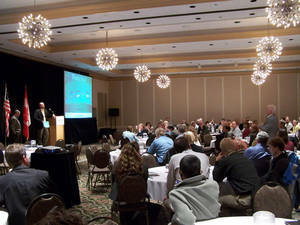 The conference attracted over 220 delegates from British Columbia and other areas of Canada, as well as the United States. 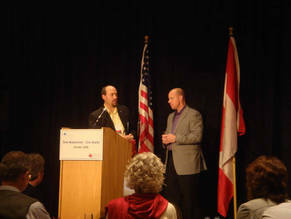 It was organized by the BC Branch of the Canadian Water Resources Association and the Okanagan Basin Water Board.